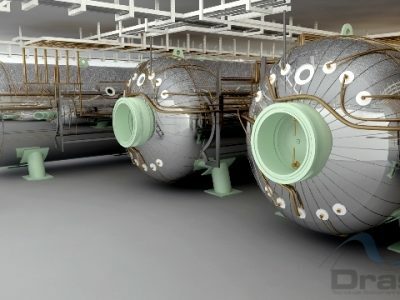 With more than 40 saturation systems delivered worldwide, Drass is the world-recognized leader of Saturation Diving Systems design, manufacturing and installation. 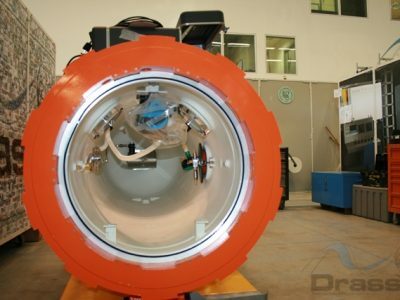 ThE modern and DNV approved Diving design is standardized for 18 divers, a twin Diving Bell and it is rated for 300 meters. Our own Shock Absorber System enhances the performance of the handling system up to 4 meters in significant waves. The Systems are designed and delivered in compliance with the IMCA standards and provided with FMEA Analysis from the detailed design stage.